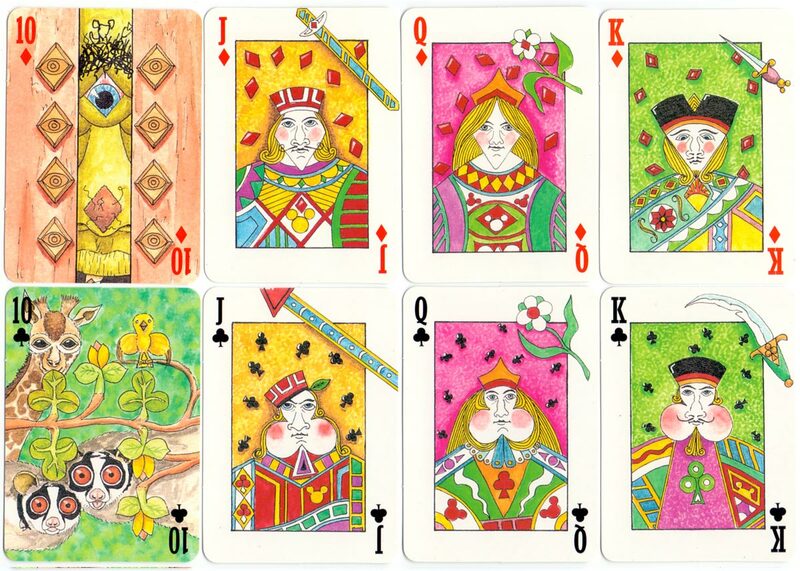 Peter Wood’s “2000Pips” Transformation pack of playing cards (1999) comes in an edition limited to just 1000 packs worldwide. 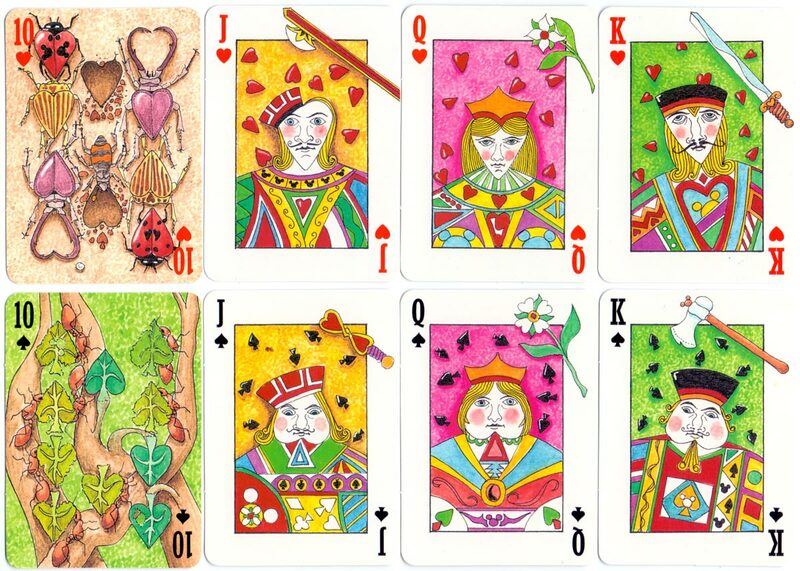 All the pips are cleverly transformed into a vibrantly colourful picture, different on each card, providing endless fascination to the beholder. We see his love of the natural world, particularly the insects, flowers and garden objects, fruits and animals, with almost scientific observation of their minute details. 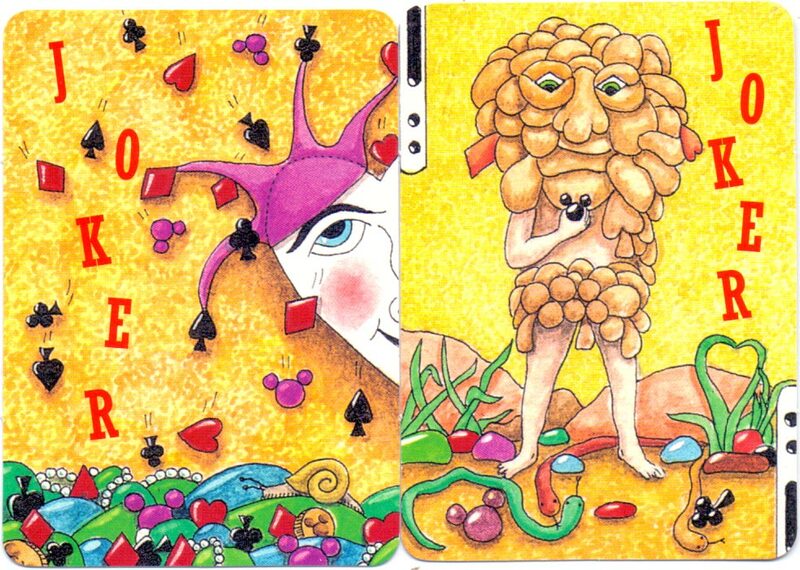 Above: Peter Wood’s “2000Pips” Transformation pack of playing cards limited to 1000 packs. Published by Peter Wood / The Design & Print Partnership, 1999. 52 cards + 2 jokers + title card in box.